The groups are for people that have spare energy and time to invest in creative collaboration. 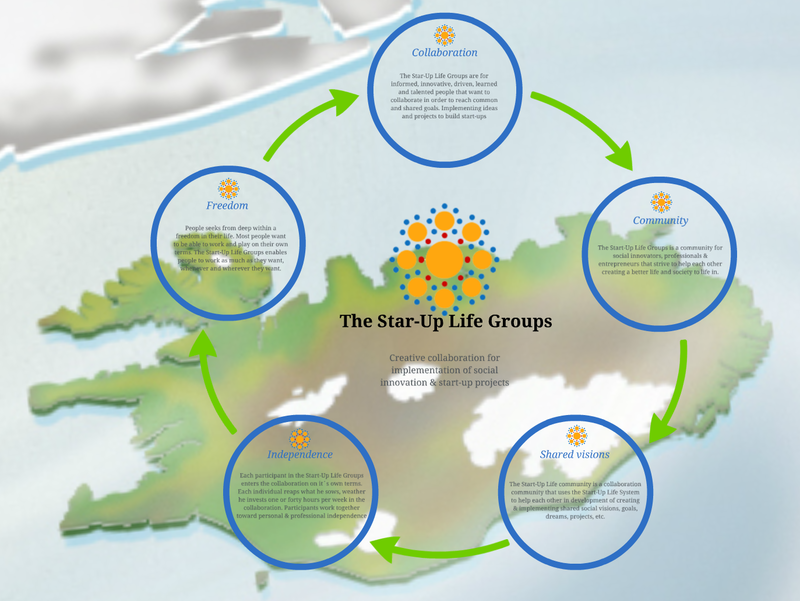 Group members of the Start-Up Life Groups make a fair share of the value they create. The Start-up Life groups are cooperative teams that work together in executing common and shared ideas, goals, projects, visions etc. Mainly the groups work on social innovation and start-up projects with the Start-up Center. The Groups are for people that wants to learn and grow to be free and independent in both their personal and professional life.